UNICEF community mobilizers engage mothers and fathers to ensure that every child is safe from polio. “Please wait, I’ll soon be with you,” says Nasiru, the father of six children, as he disappears into his house in Gagi Makurdi settlement in Nigeria’s northwestern State of Sokoto. Within minutes, Nasiru reappears, proudly displaying immunization cards with the record of the vaccines given to his youngest three children. It is unusual for fathers in this conservative part of Nigeria to readily know the whereabouts of these documents. Tending to children and ensuring that they stay healthy is usually a mother’s job. “Take a look at the cards. My children Fidausi and Fatima have completed all their required immunization, whilst my youngest, Nana Asmaiu, is well on course to complete his,” he says. 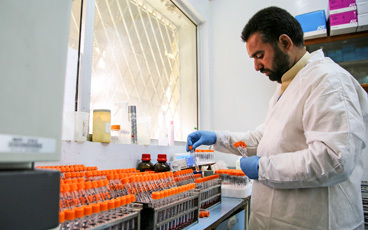 Nasiru is a champion for immunization, but he wasn’t always so enthusiastic. It was Hauwa Ibrahim, a 46-year-old UNICEF-trained Volunteer Community Mobilizer, who persuaded Nasiru that the vaccine was safe and effective. She is part of a 20 000-strong network of community mobilizers who work across twelve Nigerian states like Sokoto, where some communities have been resistant to polio vaccination. 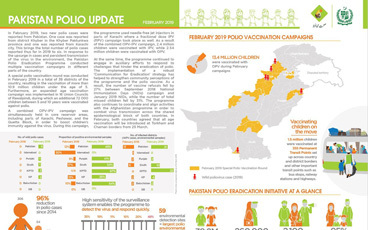 As recently as 2012, Nigeria used to account for half the world’s polio cases. Today, with help from women like Hauwa, no wild poliovirus has been detected in the country since August 2016. There are still many immunity gaps in Nigeria – as underlined by an outbreak of vaccine-derived virus currently ongoing in the country – but in the villages where VCMs like her work, these gaps are beginning to close. Using a simple register, Hauwa goes house to house in Gagi Makurdi to record all children below the age of five, as well as women who are pregnant. 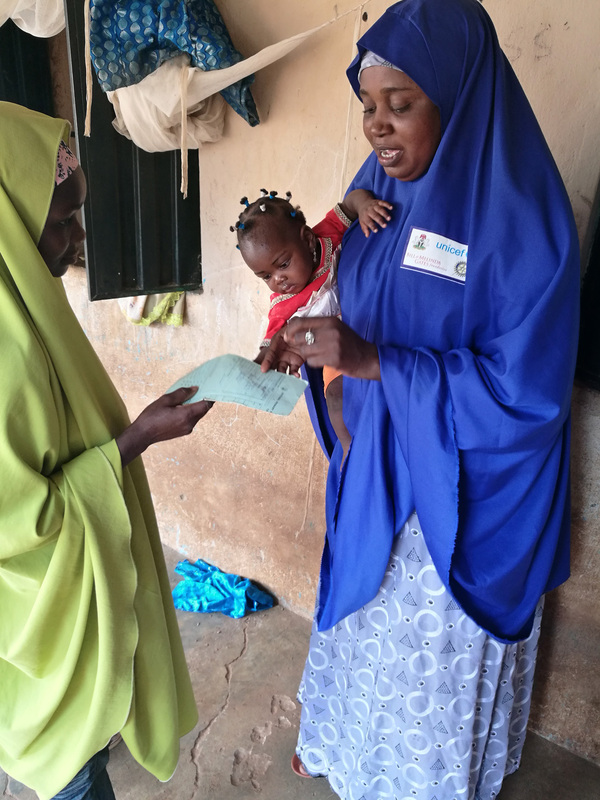 It is the same register that Hauwa used to track the pregnancies of Nasiru’s wife – Zara’u – and she now uses it to find out who manages the routine immunization schedules of the three youngest children in the household. 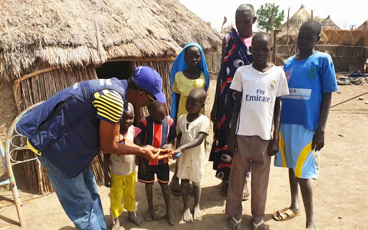 This forms part of the polio programme’s work in Nigeria to strengthening routine immunization, building on the infrastructure developed to eradicate the virus. 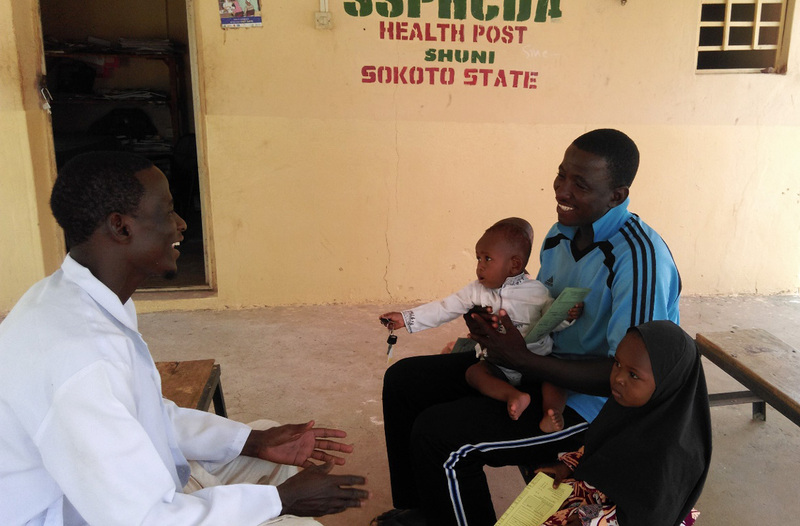 Upon her first visit, Hauwa was determined to convince Nasiru that vaccination against polio and other diseases is important – and that he should take the children to the health facility. “My culture does not allow a wife to go outside of the compound, so when Hauwa insisted that we take our children to the health facility for vaccines, I had no way but to go myself. Else, Hauwa would not give up,” Nasiru explains. Whilst he travels with his children, Zara’u takes care of their older siblings at home. By recruiting locally influential women like Hauwa from communities where some parents are vaccine-hesitant, and training them to be advocates for child health, vaccination rates are improved throughout their neighbourhoods. 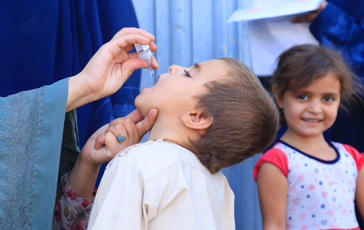 In some areas, more than 99% of parents now accept the polio vaccine for their child. “Hauwa resides in this settlement and I trust her; I trust that the advice she is giving is in the best interest of my children,” says Nasiru. He also notes, however, that he is often the only man at the health facility. Hauwa hopes that by encouraging more fathers to take on the parental responsibility of completing their children’s routine immunization schedule, immunization coverage will increase across Sokoto. 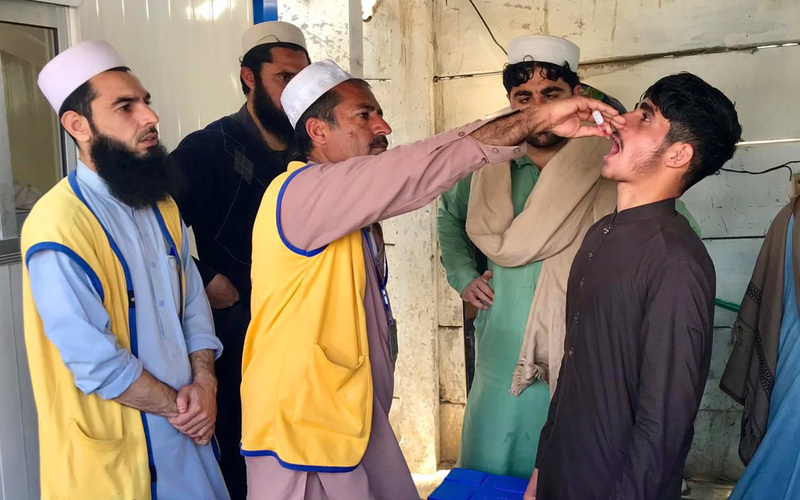 Greater vaccine acceptance and awareness means that children are more likely to receive a life-saving polio vaccine, and other vaccines, whether through routine immunization or through door-to-door vaccination. Already, the trust that she has built amongst parents in Gagi Makurdi has helped surmount many of the barriers that deny children immunization and other health services. In Nasiru and Zara’u’s compound, nearly all children are now protected against polio and other vaccine-preventable diseases. Only their baby, Nana Asmaiu, has yet to have all his vaccinations – and Hauwa will soon visit his household to support Nasiru and Zara’u, and ensure he gets them.